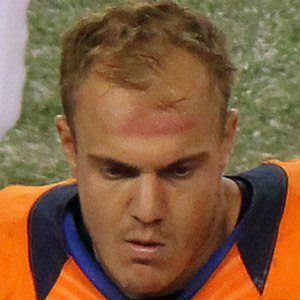 Fullback who made his NFL debut in 2010 for the Dallas Cowboys, then went on to play for the Indianapolis Colts, Denver Broncos, and San Diego Chargers. He played football and baseball at Williamsville North High School in New York. He played college football for the Arizona Wildcats. His brothers are Dan, Glenn, Gordie and Rob Gronkowski. He was born to Diane and Gordon Gronkowski, and his great-grandfather Ignatius was an Olympic cyclist. He played alongside quarterback Peyton Manning on the Denver Broncos in 2012.